Renovation projects can be challenging, but that doesn’t mean they have to be stressful. If you plan ahead for the remodeling project and have your goals and priorities set for the final outcome, it will make the process much more enjoyable. 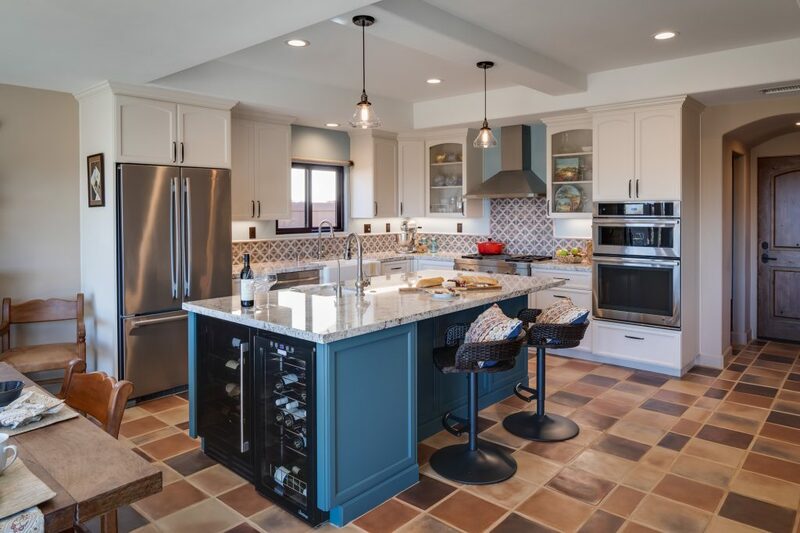 Here are some tips from our custom home builder team at Marrokal Design and Remodeling on planning a successful home renovation. Without a plan, your home remodeling project may spin out of control. You need to create a priority list that will guide you throughout the project. For instance, it seems obvious, but determining which part of your home needs an upgrade first is a must. Envision which features you want to add to the chosen rooms. Color scheme, lighting, and cabinetry will make a big difference, so choose carefully. Also, maybe you’re remodeling a master bedroom. It might make sense to include that master bathroom in the remodeling project. 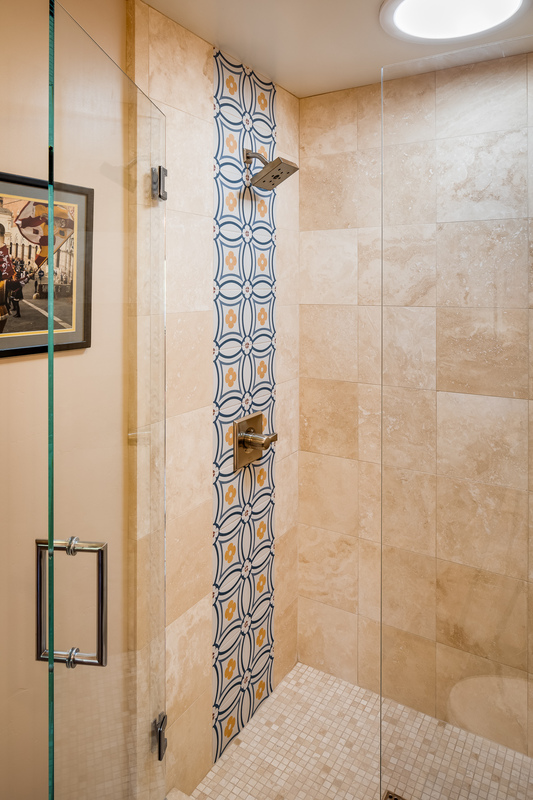 You might choose to put in waterfall showers and mood lighting. Doing the remodels for the two areas at the same time will help to save money. When it comes to remodeling areas of your home, just like building a custom home, you want to make sure you hire experts. Hire a remodeling contractor with the right credentials and years of experience in the industry is key to ensuring you have a good outcome. One of the perks of working with a trusted remodeler is they can suggest ideas that will work well with your home’s overall design. They can also help forecast any specific needs for your project. Often with remodeling, there are issues that get uncovered once the process begins without experts working on your remodel, you’ll likely get stuck and end up spending more money to solve the issue. Your budget should cover all the expenses involved in your home remodel, but it should also have wiggle room to accommodate unforeseen changes. The best thing to do is to talk with your contractor about your budget limit. A remodeling contractor can help you make the right decisions during the renovation while sticking to your budget and timeline. Be firm about your original plan. Don’t be persuaded by friends or relatives that may suggest ideas. Sticking to the original plan will keep your remodeling project on track, but it can also help minimize extra cost. This isn’t to say that you can’t, early on, change your mind. During the planning phase of your remodel, you should be considering many design options. Before you meet with your contractor, start a file for your dream remodel. Clip articles and photos to add to this file. You can even make a digital folder using Houzz, Facebook, or Pinterest. Need some advice on remodeling? Turn to Marrokal Design and Remodeling for your upcoming home renovation. We offer professional remodeling services to boost your home’s functionality and aesthetic appeal. Call us today at (888) 214-1544 or fill out our online form to schedule an appointment. We serve residents of San Diego, CA.